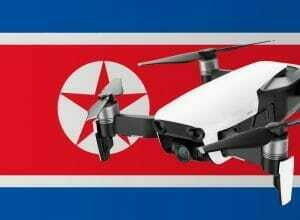 In this post, I have summarized for you the legal situation for the use of drones in North Korea. North Korea has a totalitarian regime that controls all journalistic activities in the country. If you want to shoot in North Korea, you need the government’s approval. Also, you will be accompanied by watchers who make sure that you only travel on a given route. For this reason, it is very likely that drones are banned in North Korea. I could not find an official source for that, but common sense suggests it. If you want to try anyway, then you should request in advance to the government. Without prior consultation, I would never travel to North Korea with a drone. We have researched the listed drone regulations for North Korea to the best of our knowledge. We cannot guarantee the correctness of the information. If you want to be on the safe side, contact the competent aviation authority. Alternatively, you can also ask the embassy in your country for further information about the regulations. Please leave us a comment when you receive news and/or gain experience with your copter in North Korea!